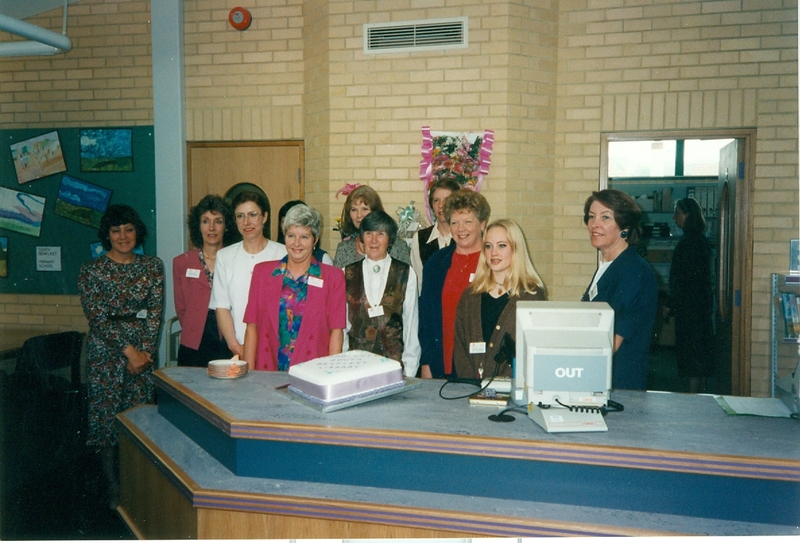 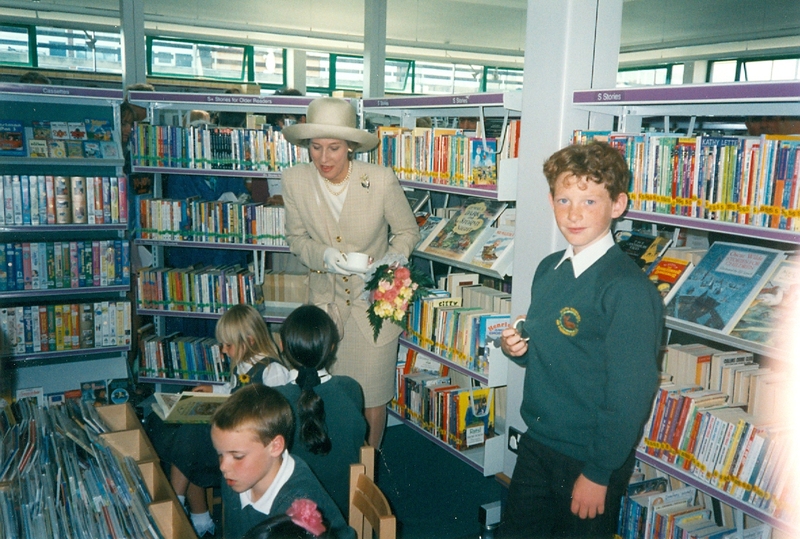 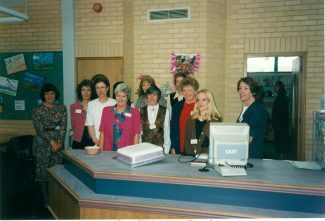 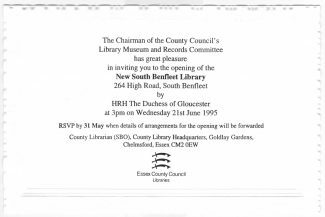 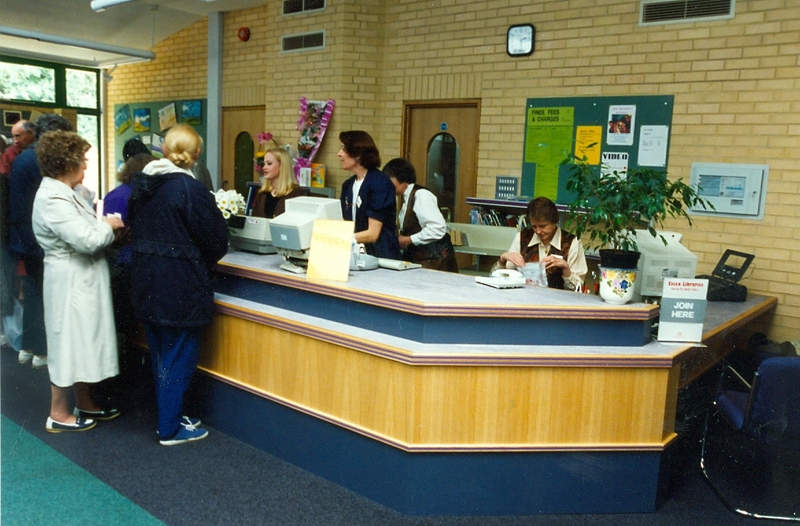 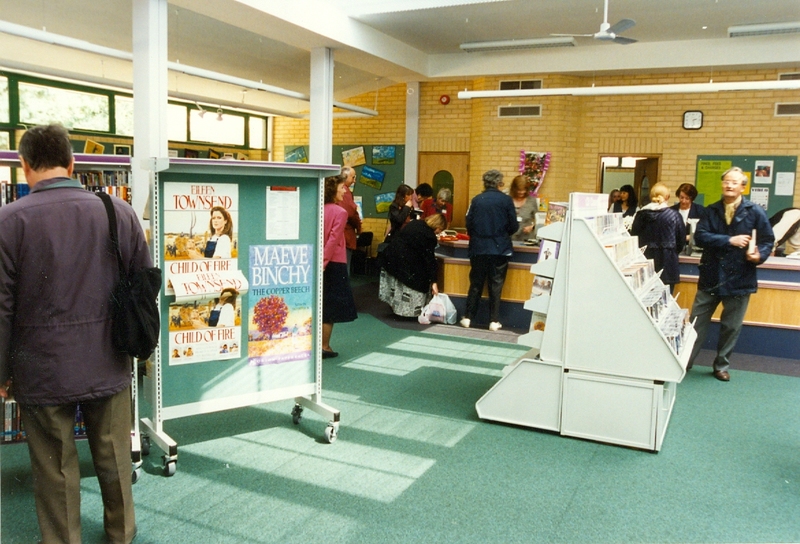 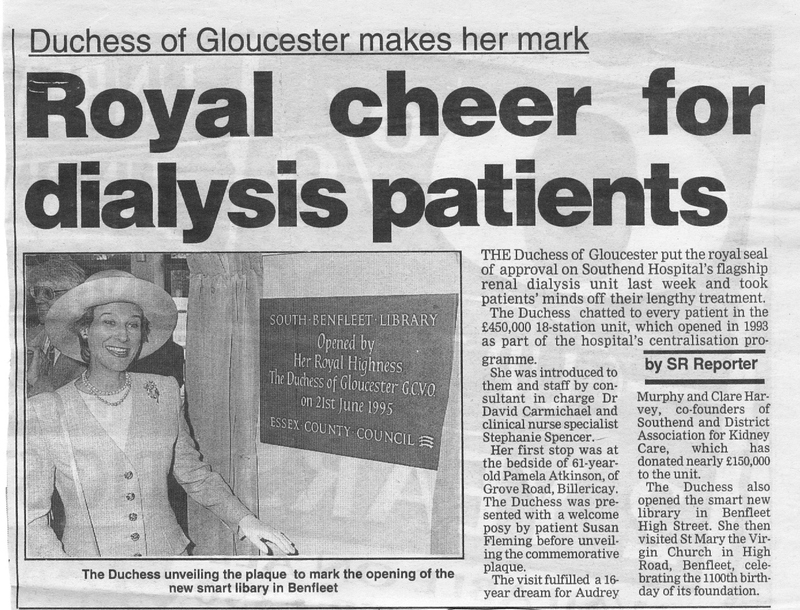 The South Benfleet Library was opened by HRH The Duchess of Gloucester on Wednesday June 21st, 1995. 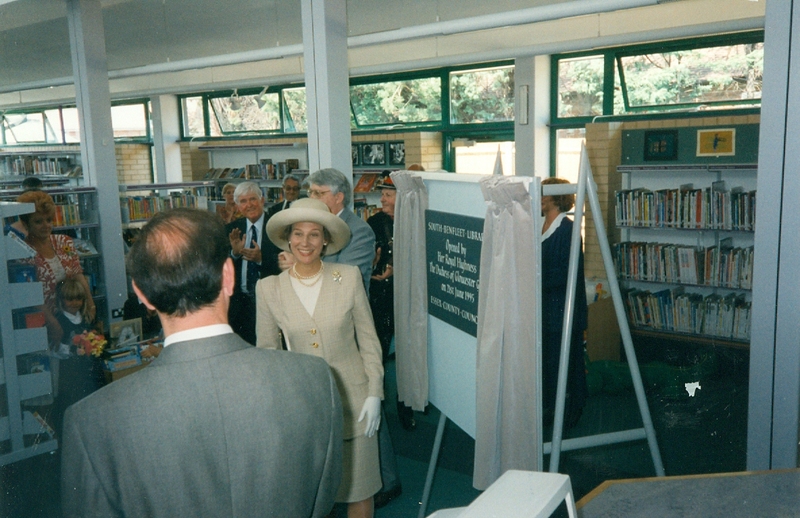 The County Council funded the building of the new library, which cost approximately £574,000. Although work finished on the single storey building in February of that year, the library was open for business in late April, with the official opening scheduled for mid June. In the local press we can see that Her Royal Highness visited Essex to attend three official functions that day. 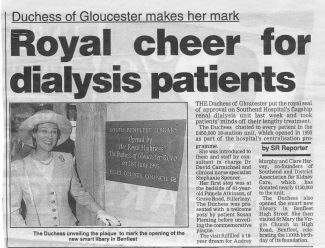 A visit to Southend Hospital’s flagship renal dialysis unit, followed by the opening of the Library and then a visit to St Mary The Virgin Church, Benfleet, to celebrate the 1100th birthday of its foundation. 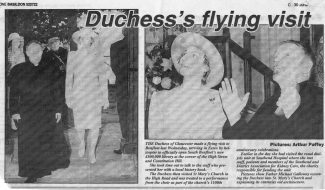 Father Michael Galloway can be seen in the press cutting, escorting the Duchess into St Mary’s Church, explaining its centuries old architecture. 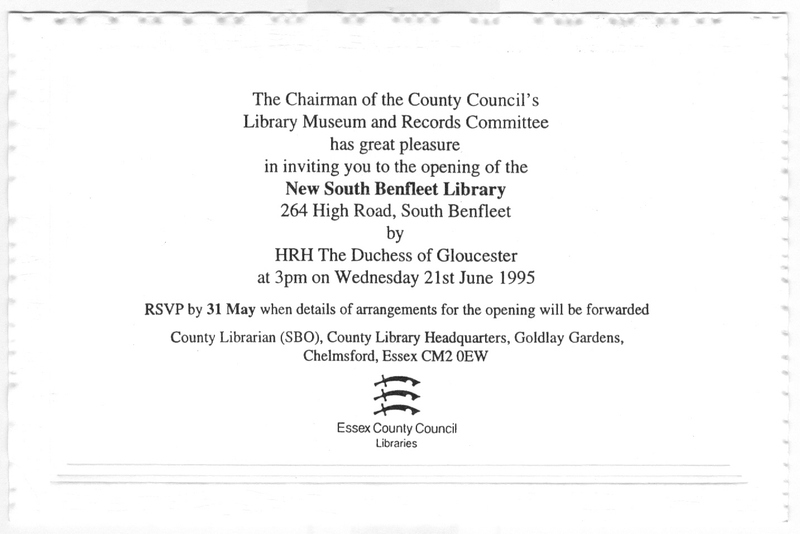 The Manager of Benfleet Library at that time was June Elmes. 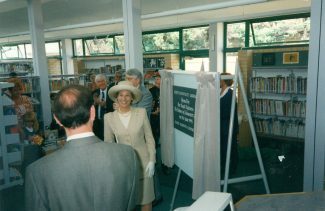 The new Library, almost four times the size of its predecessor, offered comprehensive facilities, including around 15,000 books, CDs and videos. 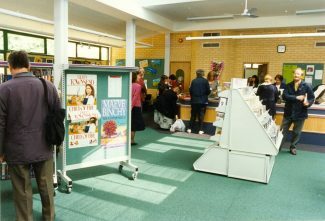 Whilst collecting material for this article, library staff alerted us to information on a former librarian, Ken Deacon. 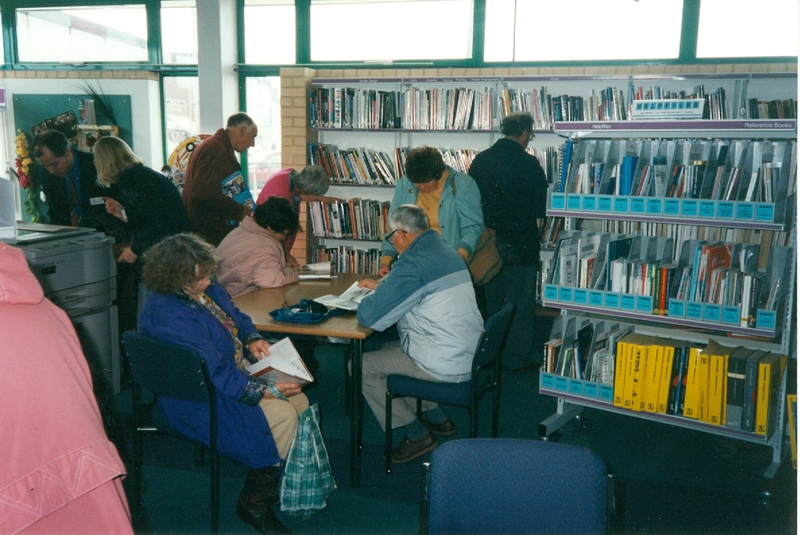 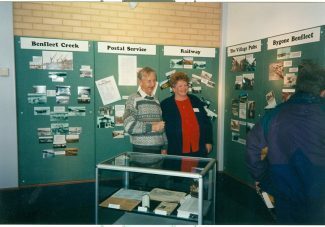 Ken began his days at Benfleet Library in the mid 1940s. 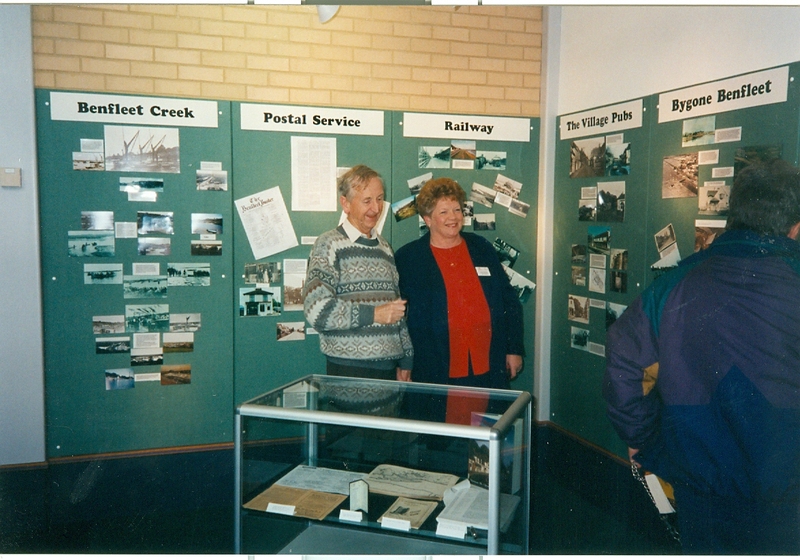 During this time he made several pages of notes on his memories of Benfleet. Ken died in 2005 at the age of 94 and Manager, Sue Stevens recalls that right up to days before his death, he would still visit the library. 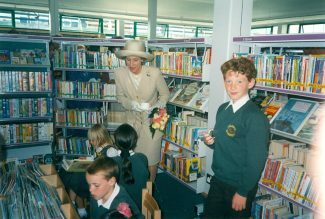 He could often be found sitting at one of the desks, passing the time of day with library visitors or reading through his ‘memoirs’. 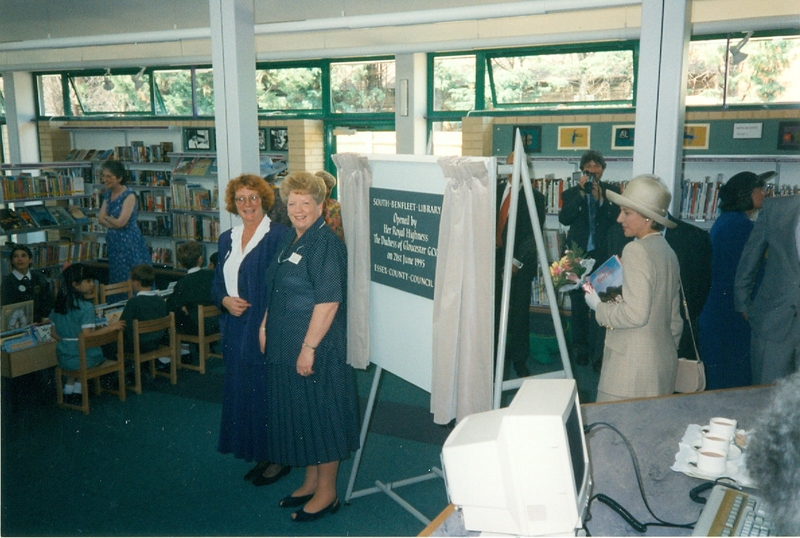 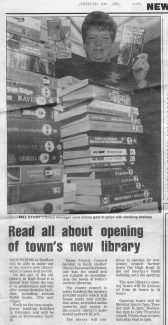 Photos and press cuttings relating to the Library are by kind permission of the current Manager of Benfleet Library, Sue Stevens and staff.